St. Michael - St. Clement School opened its doors in 2017 thanks to the merging of two well established schools: St. Clement May Hofbauer in Rosedale and St. Michael the Archangel in Overlea. From innovative technology to beautifully detailed facility renovations, our Pre-K 3 to 8th grade students are learning in a 21st century environment. Your financial support is evidence of your commitment to Catholic education and to the future of STM-STC. Each tax-deductible gift has a meaningful impact on our school and all those who work and student here! 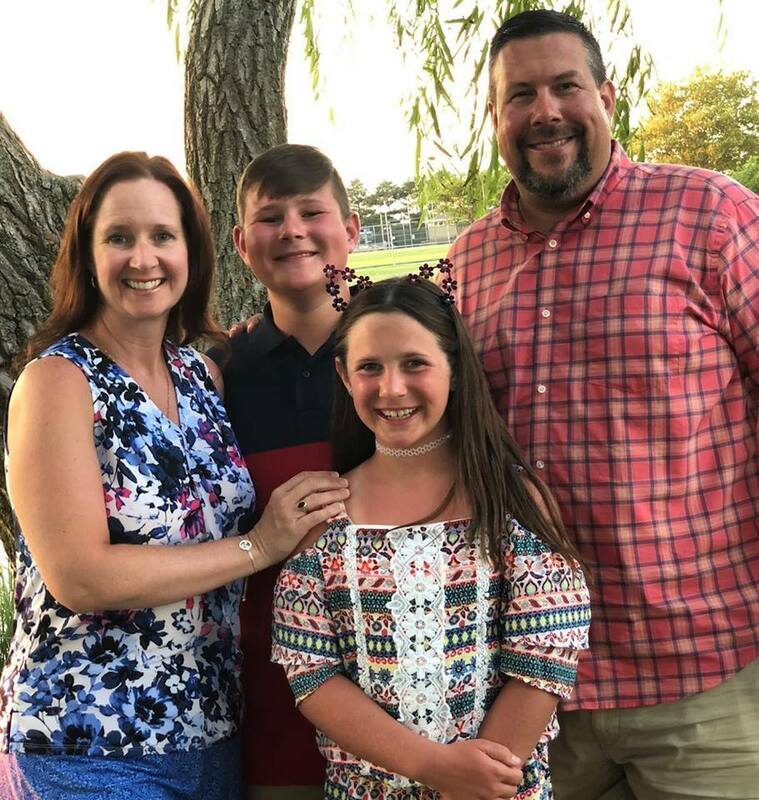 We are pleased to announce that Barbara and Dave Makowiecki (pictured on the right with their children Katelyn and Tyler) will be the parent co-chairs for 2018-2019 Annual Fund. All funds raised up to $100K will support the school's operating budget. Any and all funds over $100K will be used to purchase and install air-conditioning units in both school buildings. Click here to view the 2018-2019 Annual Appeal letter. Again, your support of this year's Annual Fund will help us cover expenses over and above or operating budget and allow us to air condition the school if we reach $350K total fundraising for the 19-20 school year. What is the 2018 - 2019 Annual Fund? The Annual Fund is an appeal that happens every school year. Faculty, staff, school board members, current StM-STC parents, alumni, parishioners, and area businesses are given the opportunity to support the school through a one-time donation or monthly pledge which must be completed by the end of our fiscal year, June 30, 2019. Why give to the 2018 - 2019 Annual Fund? Bridging the gap between our school's operating budget and the cost of funding extraordinary projects. Providing "seed money" to help pay for the projects area foundations help underwrite. How much should I give to the 2018 - 2019 Annual Fund? The amount you decide to give is a uniquely personal choice. In prior years, we asked all familiy for a $250 fee at registration. However, we stopped that and understand that the size of your gift is not as important as your participation. We offer a variety of giving opportunities for every budget, including monthly payment plans for those who spread to spread out their donation over the school year. How do I make a gift to the 2018 - 2019 Annual Fund? Donors to the Annual Fund can support the school by making a gift (one-time or recurring) and using your credit card. Please print out and return the donation form or follow the instructions below to make a secure online donation. All donations are 100% tax-deductible. Thank you for your kindness, consideration and generous support of St. Michael - St. Clement School. Together, we can make a difference! in the lives of our sudents! If your gift in honor/memory of a loved one, please include name and address of the family who should receive gift notification, if applicable. Also, if you wish to remain anonymous, please indicate below. Our Annual Fund Parent Co-Chairs, Barbara and Dave Makowiecki with their children.